Growing up, I swear I said the “sinner’s prayer” about 37 times a day. That’s not an exaggeration either. It may have been little kid me misunderstanding what the preacher was saying. But what I heard taught was that one sin could keep you out of Heaven. If you lie to your mom and then get hit by a bus before seeking forgiveness, you’d wake up in Hell. This is what I believed well into college. I’d look at a girl in a sun dress on a spring day, think what 19-year-olds think, and then be terrified I was going to Hell. So, right there in the middle of a baseball game, I’d quietly say the sinner’s prayer yet again because I was afraid of losing my salvation. 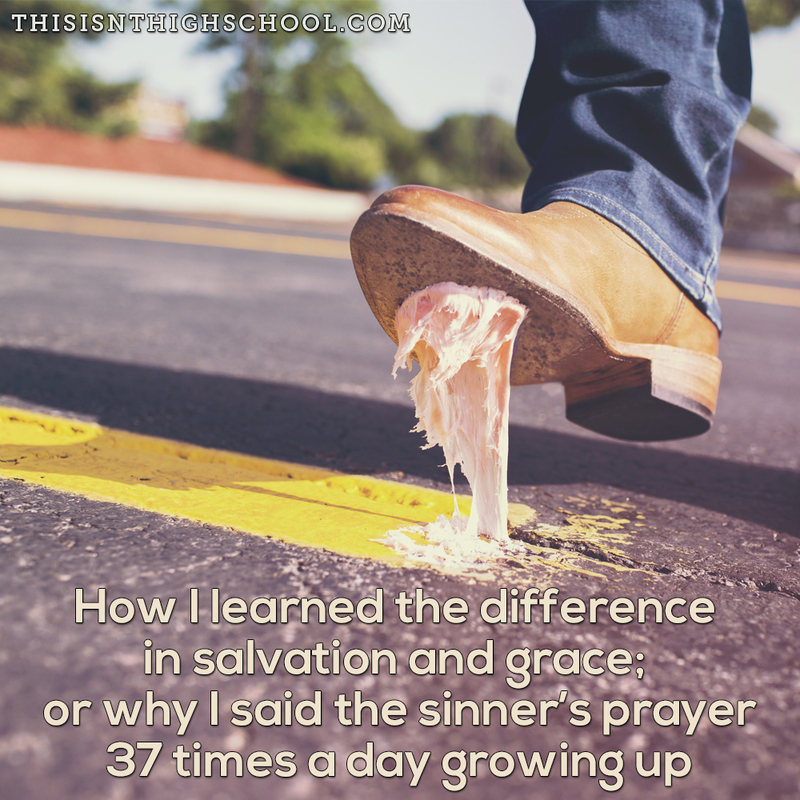 It wasn’t until later in undergrad when I started to understand the whole idea of grace. It didn’t matter what I did – I couldn’t lose my salvation. Jesus dying on the cross was enough. Once I gave my life to him, there was nothing I could do to get kicked off the team. Grace was one thing. Actions – well, that was a whole different ballgame. Imagine my surprise when, as an intern fresh out of seminary, my boss didn’t freak out at the kid who cussed at one of our events. Picture my shock when, weeks later, he didn’t make a big deal of students getting caught drinking on a Friday night. That’s when I realized I’m allowed to screw up. It’s when I saw I was never going to be good enough and not being good enough is actually okay. It’s when I learned I didn’t have to say the sinner’s prayer 37 times a day. Jesus knows us so much deeper than we realize. He sees our issues and, while he hates the sin in our life, he is able to see past the action and see the cause. He’d much rather we screw up in pursuit of him than go through a checklist of unemotional prayers asking forgiveness out of fear. What would today look like for you if you set aside your fear of making a mistake? How would your world be different if you focused more on Jesus and less on acting right? Can you imagine how different things would be if you looked at people’s heart more than their results? Grace is more than a prayer before a meal. It’s a gift we’re given and it’s not used nearly enough. We are way too hard on ourselves and those around us. We hold ourselves to this ungodly standard of behavior and merit. We think if we act this way, dress that way, and don’t say those words then we’re somehow better off than others. No one ever earned grace. And because we can never earn it, we’re able to give it.